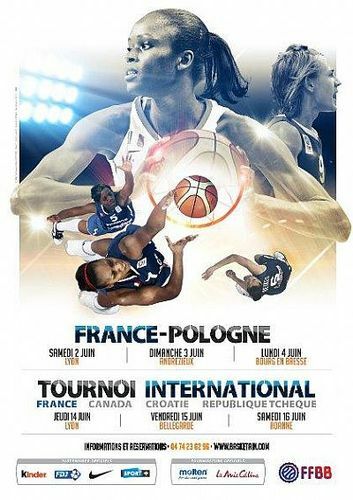 The Olympic Qualifying Tournament preparation for France will start on 8 May 2012 in Bourges. Pierre Vincent explained that the training programme for this event was no different from previous years. The French Cup final dates were changed and Vincent may be without the key players until 24 May. The first camp in Bourges will run between 8-17 May. All the players whose season ended early report to camp on day 1, other players will join when they can. Vincent hopes to have the majority of players in camp by the 13th. However to make sure they have enough players, "practise players" will also be called up. The second camp which starts on the 24 May will consist of all the players who will be involved with the final preparation. This camp will be in Lyon and end with a 3-match series against Poland between the 2-4 June. The final camp, also in Lyon, will take place between 8-16 June. France will also host a 4-nation competition with matches against the Czech Republic, Croatia and Canada. All the times given are local time in France (CET). In the 4-nation competition the first game starts two hours before the match involving France. Ticket prices for the games start at 5 Euro. Tickets are likely to be available at the door but you can reserve tickets by calling the organising committee in France on the following number +33 4 74 23 62 96 (Comité Départemental de l'Ain).